Solagratiamom: The Physics of a Snow Day!! The Physics of a Snow Day!! So what better time to think about Physics (specifically for us, Newton's three laws of motion) then while sledding on a snowy day? I'm sure that everyone who goes sledding is thinking physics - as they are busy playing??? Perhaps as soon as your kids ask if they can go out and sled in the snow, your mind immediately thinks of the great science lessons in action that they will be having! 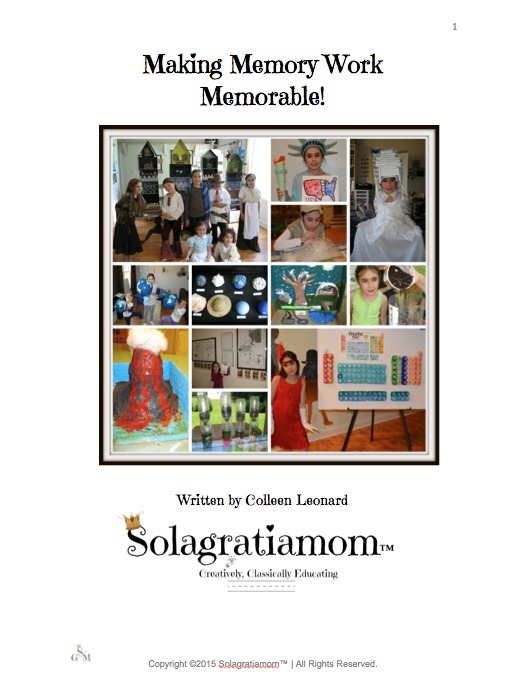 So...you immediately say yes to your begging children who want to skip school, allowing them this awesome opportunity at some great physics lessons! Right??? It's rare to have a good snow in North Carolina -so my husband and some neighbors, got together to sled ride this morning in our backyard with the kids, before we did school. My husband built a little "bump jump" as my daughter called it and then the kids (and adults too) went sledding down the hill for a while -enjoying this rare white treat for our State. Once the kids were done with their sled riding and of course, snow ball fights -then we had hot chocolate and some fresh out of the oven, chocolate chip cookies. We later talked about the physics of sledding and I asked lots of questions to see how much all these various experiments and information we've been reading about physics, is sinking in and if they can apply it to real life situations. Me - "So what sort of energy did y'all (we are in the South you know!) see out there today?" Their Answer - "Potential energy when we were sitting on the sled and kinetic when the sled started moving down the hill." Me - "Did you notice any difference when the big kids or adults went sledding down the hill, compared to the littlest person who sent sledding?" Their Answer - "Yes! The bigger kids and adults didn't go as fast and had a harder time stopping. I think they hit the fence harder too." Me - "Was there anything you saw that could apply to any part of Newton's first law?" Their Answer - "Well, the sled continued in a straight line until it hit the "bump jump" Dad made, which made it slow down and then it hit the snow pile fence and stopped. So both the bump and the fence were outside forces that acted upon the sled, right?" Me - "Was there anything that applies to Newton's second law from today's sledding?" Me - "What about Newton's third law - anything there apply to today?" Their Answer - "That was easy! When we went down the hill and hit the fence - we were thrown backwards off the fence! So we experienced an equal and opposite reaction, right?" So the questions went and the answers were good and some were down right funny. We talked about force, mass, acceleration, friction, momentum, kinetic and potential energy and reviewed the definitions of Newton's three laws. We also talked about the states of matter that related to the storm we had. We experienced rain, freezing rain and snow, all in this one storm! We watched, as the ice began to melt off the trees, changing states before our eyes. These are the things that make homeschooling classically so fun...we tie all of life into our education and connect the dots. I love that! A rare scene out my window while I work on the computer. 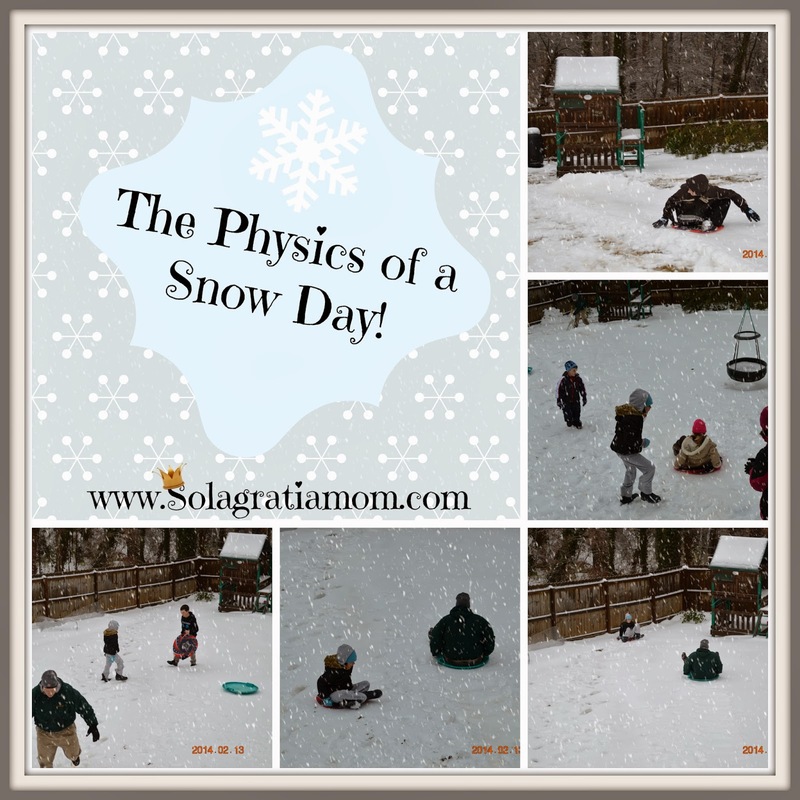 Since winter doesn't seem to want to leave and I'm sure there will be more snow days and sledding opportunities to come - check out these links below so you can help your kids think about the physics of a snow day! 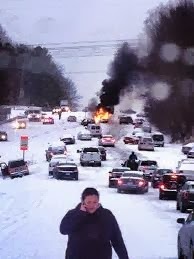 If you watch the news then I'm sure you heard about the crazy scene here in North Carolina with the snow! Twenty five years in North Carolina and I have to say - I've never seen anything quite like it! I watched scenes like below on the News and Facebook stories of friends and their loved ones stuck in this nightmare! My own son and Brittney became entangled in the mess trying to get home after a quick visit to a store. It covered the road insanely fast - in like 5 minutes - giving no one time to get home once the first flake flew! My husband and his 4 wheel drive truck went to rescue Mason and Brittney. Hours later my son and husband were home and Brittney to her safe destination. A year off my life with worry - but all turned out well, praise God! This is excellent. I love it! Wow this is so awesome! Exactly my kind of science! I'm going to read it to my 10 year old daughter, we're looking at forces at the moment. She'll love it. So glad all turned out okay with your son. Sounds like a successful homeschool day to me! Thanks for sharing these great ideas at Trivium Tuesdays! Man, I wish I had read your entry before our (very rare) ice storm. I would have made it a physics lesson rather than declaring a snow day!! Cristy - with this winter we're having - you may just get the chance. LOL :) Thank you for viewing! Love the application on physics and energy to sledding! I love combining recreation with learning and exploration. Wow! What a capture of the chaos of the snow day!